United Way organizations are committed to helping employees impacted by the federal government shutdown. Within Pennsylvania, a special texting code was launched to provide informational updates and resource information. Furloughed employees in need of social services or resources can text FEDSD to 898-211 to sign up to receive updates each week day for the duration of the impasse. The text updates are reinforced by a mobile-friendly web page on United Way of Pennsylvania’s site, which is cataloging resources to help these employees. Employees are also reminded to call 2-1-1 , or text their zip code to 898-211, to speak to a resource navigator. 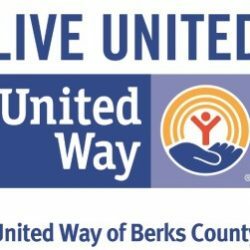 United Way of Pennsylvania, PA 2-1-1, the Pennsylvania AFL-CIO and the America Federation of Government Employees District 3 have partnered together to launch the special texting capability during the shutdown period. • Last year, 2-1-1 received over 7,300 inquiries from Berks County residents, which was nearly a 40% increase over 2017. Top needs centered on housing, utility, food and health program assistance. • United Way recommends anyone seeking information and referral about community resources, to connect with 2-1-1. All residents are reminded to call 2-1-1 for information and referral services for community needs around housing, utility and food assistance, as well as information related to child care, health programs and more.